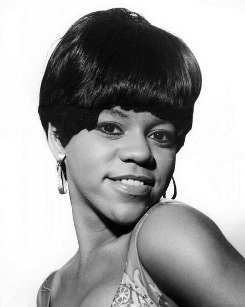 Florence Ballard's parents relocated to Detroit in 1929 so that her father Jesse Ballard could find work in the city's then still-thriving auto industry. It was he, an amateur musician, that first instigated his daughter's interest in performing, teaching her various songs while providing accompaniment on the guitar. Florence continued developing her vocal skills through the choir and music classes provided by her school, and by her early teens her abilities had become well-established throughout the neighborhood of the Brewster Housing Project where her family resided. It was two of these neighbors, Eddie Kendricks and Paul Williams of a male vocal group called The Primes (which would later become The Temptations), that set her career in motion, introducing the 14-year old singer to their manager Milton Jenkins and occasionally utilizing her as an soloist with their group. Impressed by the young girl's talent, Jenkins soon organized an all-female counterpart to The Primes around Ballard, enlisting her schoolmates Mary Wilson, Betty McGlown and Diana Ross. The Primettes then spent as much of 1959 as their schoolwork (and parents) would allow performing in every available venue. The following year, after McGlown had been replaced by Barbara Martin, The Primettes recorded Tears of Sorrow b/w Pretty Baby for Lupine Records. Through Ross' friend Smokey Robinson they were able to arrange an audition with Motown head Berry Gordy, but Gordy refused to sign them until they were out of high school; undaunted, the four young women constantly loitered about the Motown offices, taking whatever minor session work Gordy would allow. In 1961 - renamed The Supremes (at Ballard's suggestion) - they finally received a contract and their recording career was underway, Motown releasing eight singles by the group over the next two years. It wasn't until 1964's Where Did Our Love Go that the record-buying public began to take notice, but after this first hit The Supremes (now a trio, Martin having left in 1962 to get married) were rarely out of the number one position, songs such as Baby Love, Come See About Me, Stop! In The Name Of Love and Back In My Arms Again establishing them as one of the top acts in the country. This period of triumph for The Supremes became one of personal torment for Ballard, as she was forced to watch helplessly while the group she had founded was gradually taken away from her. In the early years of their existence, Ballard had been the group's central figure, although all three singers were given turns at the lead position. Convinced that it was Ross' higher register that would be accepted by the larger white audiences, Gordy reconstructed the group as a vehicle for her alone, reducing Ballard and Wilson to little more than backing singers. Ballard resisted this change, only to find herself a constant victim of criticism and abuse from both Gordy and Ross. Unable to cope with the situation, she gradually retreated into alchoholism - her resulting weight gain and unreliability providing Gordy with an easy excuse to expell her from her own group in 1967. They were subsequently re-named Diana Ross and The Supremes, with vocalist Cindy Birdsong taking Ballard's place. After The Supremes, Ballard severed her relationship from Motown, and was eventually forced to sue the label in order to get any of the royalties owed her from her six years of work. She then attempted to launch a solo career, signing on with ABC Records and releasing the singles It Doesn't Matter How I Say It and Love Ain't Love in 1968. The tracks were not well-received, and ABC quickly lost interest in the singer, dropping her from their roster before a full-length album had been issued (it finally surfaced in 2002, almost 30 years after her death). A period of serious decline followed, during which her house was foreclosed upon, her marriage deteriorated and her problems with drugs and alchohol worsened. By the 1970s Ballard was herself back in the projects, supporting herself and her three daughters with welfare checks. It wasn't until 1975, with the help of the settlement money from a personal injury incident, that the singer managed to get her life back in order, overcoming her additctions and reconciling with her former husband. Sadly, preparations to resume her music career were cut short in the February of the following year when a coronary thrombosis ended her life at the age of 32. Peter Benjamin, The Lost Supreme (2008), page 1.